Faulkner's Ranch: Tune Into KMBC News Tomorrow Morning! 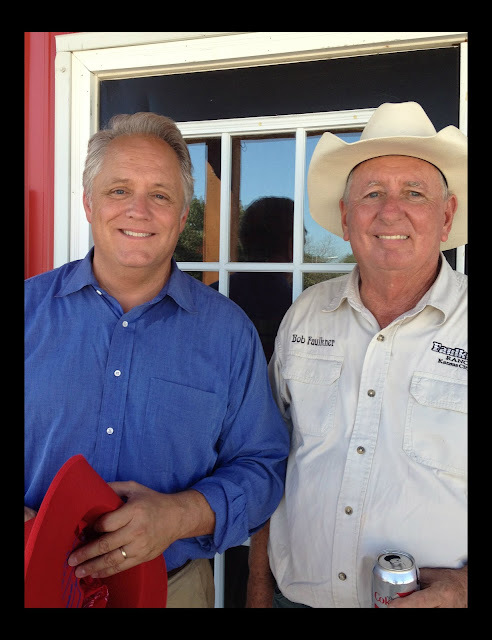 We just love it when local celebrities stop by the Ranch! This week, we had the pleasure of seeing Joel Nichols, one of the featured stars of KMBC's Weather Team, when he stopped by for a little mosey around the ranch. We can't divulge too much information and tell you what his story is going to be, but you don't want to miss it! You're just going to have to tune into the morning news on Sunday, September 16th to see what Joel was up to! We were lucky to get to spend about at hour with him at the Ranch. He is extremely witty - but we're sure that all of his beloved viewers already know that. He is also incredibly intelligent, a father of four very bright young adult children, and did we mention so so funny! Bob and Joel actually go way back. "When Joel first came to town he was the new morning weatherman on Channel 9. Shortly after he started, Larry Moore called me and asked if I could provide a couple of ponies for Joel's youngest's birthday party at his house. We did the gig and when he went to pay, whomever I sent with the ponies told him there was no charge. 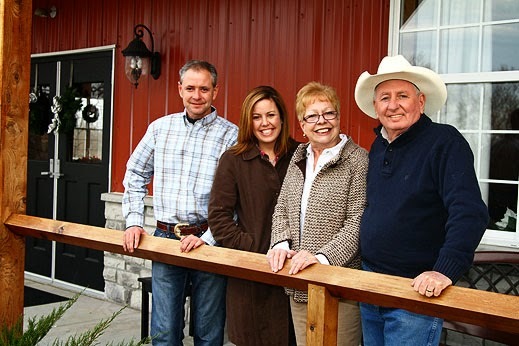 He has remembered that throughout the years and has always been very kind to the ranch and me." Have a great day ya'll and don't forget to tune into Channel 9 tomorrow morning! PS - Did you know that Joel Nichols has a blog too? You can read it here!